It’s that time of year again! The Piecemakers are meeting every Saturday morning in Kask Hall from 9 AM to noon in February and March to assemble quilts for Lutheran Work Relief (LWR). Quilt tops are made at home by volunteers and brought to the church along with quilt bottoms (often a cotton blend, colored, twin-size sheet) to be assembled by the group who adds batting (provided) and hand-knots the quilts. Then the quilts are bound and sewn. For the past few years the group has been fortunate to receive donated fabric from a local business and volunteers have also donated fabric. You do not need to be a sewer or quilter to help assemble the quilts, thread needles, or tie the knots. Come and join the fun! 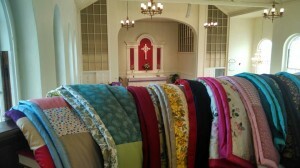 Finished quilts are displayed from the choir loft until they are blessed during a worship service and sent off to LWR. 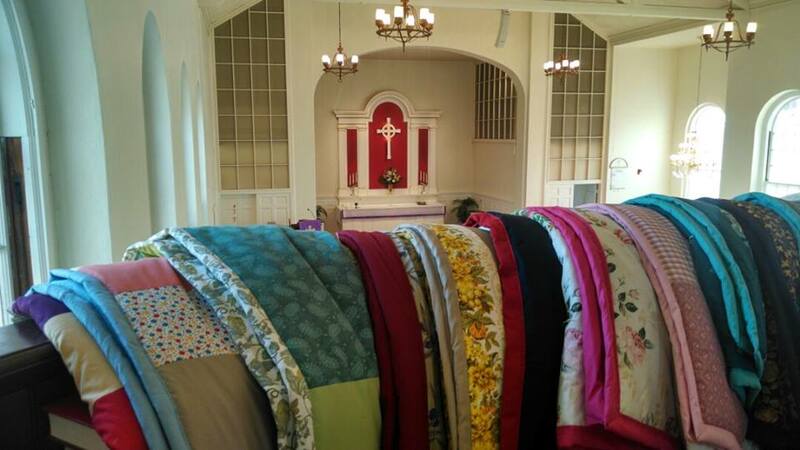 Usually two quilts are auctioned off to the congregation to raise funds for LWR to mail the quilts across the world where they are most needed. In 2014 over 100 quilts were made and donated to LWR by the Piecemakers. See http://lwr.org/getinvolved/quilts. 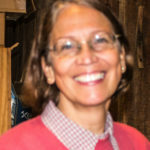 The leader of the group is Susan Lawson. Please see the LWR website for quilt fabric requirements, size of finished quilts, and assembly information.